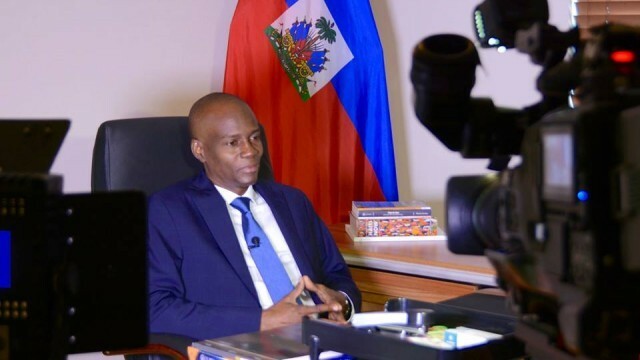 TAIPEI (Taiwan News) – The President of Haiti, one of Taiwan’s few remaining diplomatic allies, arrives in Taiwan on Monday, May 28 for a five day visit. Jovenel Moise will be traveling with a 30-member delegation that will meet with counterparts across several ministries, and conduct trade and investment negotiations with both government and business representatives. The trip, coming as it does on the heels of Burkina Faso’s decision to sever ties with Taiwan, and only weeks after the Dominican Republic’s decision to do the same, the Haitian President and delegation find themselves in a unique position of negotiating power. Haiti is located on the Caribbean Island of Hispanola, next to the Dominican Republic, its larger, more affluent neighbor and historical rival. In the wake of the Dominican Republic’s severing of ties with Taiwan, some analysts now consider the national border between the two countries as a new front in a diplomatic campaign of influence being waged by China. The Miami Herald reports that U.S. government officials like Senator Marco Rubio and others are paying very close attention to the visit by the Haitian delegation this week, and that Rubio has been actively warning against accepting the investment incentives that China is offering. With both the Chinese government and U.S. officials knocking on his door, Moise now finds himself visiting Haiti’s beleaguered ally from a position of relative power in terms of negotiating for investments or government to government cooperation. 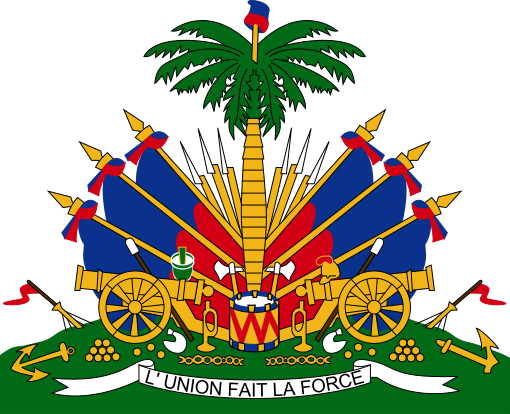 Given Haiti’s severe economic difficulties, and the large amounts of investment that China can offer, which would in turn bring employment opportunities and trade to the country, many fear that Haiti may be the next nation to turn coat, and accept China’s offers in exchange for severing ties with Taiwan. "In the Dominican Republic, there was debate. In Haiti, there has been no real debate about the benefits of Taiwan or China. It's been more: 'Will I align myself with the U.S. interests or will I take the risk and go with China because I need financing for my projects?'" CNA reports that an array of state honors and events are being organized for the Haitian President during his visit to Taiwan, including a military ceremony in front of the presidential office, and a presidential banquet hosted by President Tsai Ing-wen. President Tsai will also confer the “Order of Brilliant Jade” on President Moise for the efforts he has made to strengthen bilateral relations. It is also reported that Moise will confer a “Grand Cross of the National Order of Merit and Honor” on President Tsai for her contributions to diplomacy, politics, the arts, and charitable works in Haiti. The two leaders are also expected to sign a joint communique during the state visit, reports CNA, but the Foreign Ministry and Presidential Office have not revealed any particulars of what the agreement might entail. Moise will also consult with the Taipower corporation and visit a power plant facility in Nantou. Hopefully, the Haitian delegation and their Taiwanese counterparts can establish meaningful and mutually beneficial arrangements that leave the delegation satisfied, and of the mind that Taiwan is a dependable and important ally to maintain. If the government of Taiwan is unable to satisfy the Haitian president, and the proposed investment opportunities going forward are seen as too meager, Moise knows that officials from Beijing will be waiting once he returns to Haiti. For that reason, this week’s visit to Taiwan by the president of Haiti, one of the poorest nations in the Western Hemisphere, has taken on a level of gravity that many, perhaps even the government officials themselves, may not have been expecting. The visit will be a test for the Tsai administration, and a demonstration of her diplomatic skill and capability of retaining allies. However, whether or not Tsai succeeds in that test will not be known until after Moise returns to Haiti. Senator Marco Rubio offered words of caution to the Haitian government saying, "One dollar investment from Taiwan is better than $3 of investments from China. Three dollars of Chinese investments not only will not flow to you, but it comes with all kinds of strings attached that are going to be problematic for decades to come." With any luck, and with the right diplomatic approach, hopefully the trend of retreating allies will stop after Burkina Faso, and Haiti will stand firm with Taiwan as ally representing reliability, equitable trade and investment, and genuine goodwill. Hopefully, Jovenel Moise will not be the last Haitian president to visit the country of Taiwan. Na sonje sa m te ekri lan pòs ki te anonse vwayaj Jovnèl lan Taywan. -Eske se yon dejekontre pou di Taywan, si w pa vle mal jwenn Lachin se pou w fè san sot lan wòch? -E si w vle m ba w jarèt se pou w bam tou sa w genyen? Taywanè yo konprann menm bagay la e yo ap tranble lan kanson yo. Yo di Jovnèl lan yon pozisyon avantaj pou l negosye sa l vle. E si prezidan Taywan nan pa mete fanm sou li, Ayiti ap glise lan men yo. Si gen AYISYEN PATRIYOT ki ap koute NEO-NAZI yo rele MARCO RUBIO an ,se zafe pa yo. Misye ap bay TAIWAN enpotans ke l pa genyen.Se pa vle l pa ta vle bay ED ,li pa gen kapasite pou sa. Apre tou TAIWAN se yon ti PEYI ki gen yon POPILASYON de 24 MILYON (si m sonje);li pa ka bay ED ki kapab chanje yon devni yon NASYON. 1 milya DOLA ,SE ANPIL ,ANPIL LAJAN pou yon ti PEYI tankou TAYIWANN. Pouki sa FASIS yo rele MARCO RUBIO pa mete yon PWOJE ED pou menm 500 milyon DOLA pou AYITI ? Se yon bagay ki pap janm rive ,se koupe MISYE ak KONPAYEL REPIBLIKEN l yo ap KOUPE BIDJE ED ENTENASYONAL. Kanta DEMANN yo di ke JOVNEL pral fe TAYIWANN, li sou BLOF. TAYIWANN pa gen KAPASITE pou l ta reponn menm MWATYE lan sa JOVNEL BANNANN ap mande yo. Mezanmi, Taiwan mete tout fòs ame l ogadavou pou Jovnèl pase an revi. Ya p fè tou sa yo kapab pou kenbe Ayiti lan kan yo. Mwen byen regrèt sa e mwen konprann. Men Ayiti bezwen rekonstwi a lontèm. Mwen pa kwè Taiwan ap kapab ede Ayiti lan 20 an. Menm a kou TEM ,mwen doute ke TAIWANN kapab ede AYITI.Lan pwen bagay lan rive la a ,mwen doute ke TAIWANN pral riske BABAKO LAJAN pou l ede AYITI. Mwen t ap li sou NEW YORK TIMES yon "INTERACTIVE" SENARYO ki t ap ekzamine ki KAT ki lan men CHINWA yo anka ke ta gen yon KONFLI lan "TAIWAN STRAIT" lan DETWA TAIWANN anka ta gen yon KONFLI. LA CHINE se yon PEYI ki gen PASYANS ,se yon PEYI ki gen 3 MIL AN DISTWA deye l.
ESPESYALIS lan NOUYOK TIMES lan di ke si LA CHINE ta ANVAYI TAIWANN ,li pa p pran 3 SEMENN pou l pran TAIWANN. Misye di ke LA CHINE devlope yon seri de "ROCKETS" yo rele POTAVYON "killers" ,sa vle di ke ETAZINI pa p ka deplwaye "AIRCRAFT CARRIERS" li yo ,paske LA CHINE t ap koule yo. Moun ki reflechi ki gen ENFOMASYON reyalize ke LIT ant LA CHINE ak pwovens li an TAYIWANN lan FAZ TEMINAL li. TAYIWANN anvan lontan ap chache yon ARANJMAN ak LA CHINE ,menm jan HONGKONG te fe l.
Sa a se pou NEG ak yon DELEGASYON 30 MOUN,30 MOUN wi ,ki al pran OCHAN lan TAIPEI. Pékin, qui revendique l'île comme son propre territoire, n'a cessé de composer la pression sur le président Tsai. La Chine a bloqué la participation de Taïwan à des réunions internationales telles que l'Assemblée mondiale de la santé et a fait pression sur des sociétés multinationales allant de marques de mode à des compagnies aériennes pour décrire Taiwan comme faisant partie de la Chine. L'aile militaire du parti communiste, l'Armée de libération du peuple, a envoyé des avions de chasse près de la côte de Taïwan une douzaine de fois depuis l'élection de Tsai et un porte-avions naviguant à travers le détroit de 170 km. Le Parti démocrate progressiste au pouvoir de Tsai dit vouloir des relations stables avec la Chine, mais il n'a pas suivi le prédécesseur de Tsai, Ma Ying-jeou, en approuvant le principe de la «Chine unique». Certains analystes disent que le président chinois Xi Jinping, l'un des dirigeants chinois les plus puissants depuis des décennies, semble déterminé à contrôler Taiwan pendant son mandat, ce qui le placerait dans l'histoire aux côtés de Mao Zedong. M. Xi a averti un envoyé taiwanais que la question de l'unification ne peut être repoussée indéfiniment.